The Cabinet Committee on Parliamentary Affairs (CCPA) meeting on 24 November decided that the Parliament Winter Session will be held from15 December 2017 to 5 January 2018. The CCPA meeting was held under the chairmanship of Home Minister Rajnath Singh. Numbers of important bills are expected to be discussed in the upcoming Parliament session. Union Minister Anant Kumar, while addressing media after the meeting, said, "This will be a 14-day session. 25th and 26th December will be Christmas holidays." "During the time of Narshim Rao as well as Manmohan Singh, Parliament sessions were held in December. In order to avoid overlapping of elections with Parliament Session, earlier too sessions were delayed and made successful, "added Anant Kumar. Prime Minister Narendra Modi led National Democratic Alliance (NDA) government was recently targeted by the Opposition for not declaring the dates of the winter session of the Parliament. 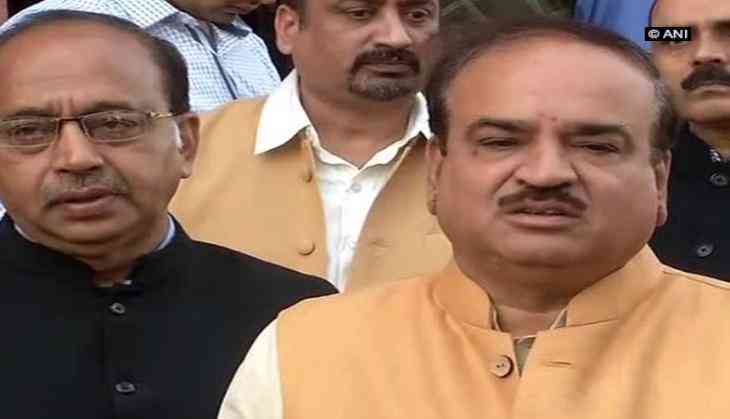 Anant Kumar has also appealed the Opposition to make the session successful, "I appeal the opposition and political parties to participate and make the Parliament Session fruitful." Pictures Inside: Have you seen these unseen pictures of Ananya Pandey daughter of Chunky Pandey? READ NEXT >> Pictures Inside: Have you seen these unseen pictures of Ananya Pandey daughter of Chunky Pandey?